At Bordeaux Sciences Agro, like most other universities in France, people from different countries who speak different languages study, live and socialize together. Living with people from all over the world is a great experience and offers many new and exciting opportunities. We are looking forward to supporting you during your time in Bordeaux, and we will do our best to make your stay as comfortable as possible. A monthly budget of approximately €600 (minimum) is necessary to live in Bordeaux. 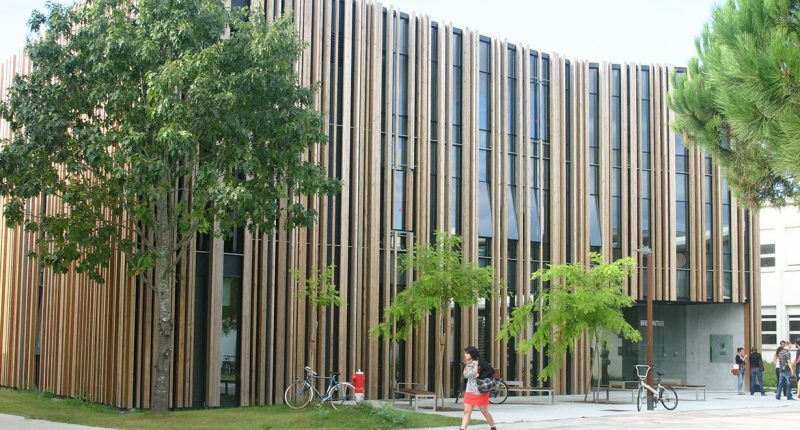 As a student, you have access to certain services such as: University cafeterias and restaurants, Bordeaux Sciences Agro’s student housing (priority given to international students), libraries, reduced transport fees, sporting facilities, etc. In France, health insurance (or ‘Sécurité Sociale’/social security as it is more commonly known) is mandatory for all students. You must pay up front for your healthcare, doctor visits and medication. Your expenses are then partially reimbursed by Social Security. The remainder of the expenses is your responsibility. You may pay directly yourself or buy (optional) complementary health insurance that will cover these expenses. See below to verify whether or not you must register for Social Security depending on your student situation (age/status/nationality) and how to do so. If you are not part of an exchange programme, you must subscribe to the student Social Security system in France (annual fee of €211 that must be paid when registering at the University). If you are in an exchange program, you do not need to subscribe to student Social Security, but must have an international insurance certificate. If you have your European Health Insurance card (issued by your country of origin and valid for the entire University year), you do not need to register with the student Social Security system. You do not need to register with the student Social Security system because of the reciprocal agreements between the French Social Security system and the Health Insurance system in Quebec. You cannot register for the student Social Security system in France for short-term stays. Where to obtain medical care? Closing dates: during the Winter school holidays, and from the 14 July to 31 August. The Student Health Centre is the place to go to to ensure that you remain in good health for the duration of your stay at Bordeaux Sciences Agro. Professional teams are there to welcome you and provide advice and information about your needs: medical appointments, nursing services (free nursing care is possible without an appointment, as well as check-ups), immunization boosters, and medical certificates for sporting activities. Students receive discounts on transportation costs: You can purchase annual and monthly transport cards online or at one of the TBM offices. You will need your student card to receive student discounts. We suggest that you buy the monthly pass. The annual pass becomes interesting if you stay at least 6 or 6 and a half months in Bordeaux. The card is valid from the 1st to last day of each month. You have to reload your card every month at either the machines or a TBM office. The ‘Pass Jeune’ (Youth Pass) card gives you access to the entire transportation network (trams and buses) if you are 28 years old or younger. The ‘Pass Jeune + VCub’ card costs an extra, and gives you access to the VCub bike share system in Bordeaux in addition to the tram and bus. ‘Tickarte’ (for occasional travel): a book of 10 tickets at a discounted price. You must present the TBM card (free of charge) with these tickets as it validates the price reduction. These tickets are available for students who are 28 years old or younger (35 years old for international students) and give you unlimited access to the Tram, Bus and Batcub (the river shuttle) for an hour after initial validation of the ticket. Train Discount Card (‘Carte 12-28’) This card is available for students 28 years old and younger. Students who will turn 29 soon and are interested in applying can apply before their 29th birthday. The card will still be valid for 12 months! You can purchase this card at the train station or online. If you buy it online, you should receive your card in a week or two. Please give a correct, valid postal address! Present this card any time you buy a train ticket through sncf.com and you will be granted a 25% or 50% discount depending on the day and time you travel. Bordeaux is the 4th most bicycle-friendly city in the world. With more than 200 kilometres of cycle paths, the Bordeaux urban area has become a paradise for cyclists. With VCub, you have a bike 24 hours a day 7 days a week, accessible with a credit card or subscription TBC card. It allows you to use Trams, Buses and Bikes and easily go from one mode of transport to another. Very easy to use: borrow a bike from the station of your choice and return it to the nearest bike station. The journeys of less than 30 minutes are free after registration. Once you are registered, you can use the VCub as often as you wish. If you are staying in France for more than 3 months, you may open a bank account. The process is quite simple: you must simply show your passport (or equivalent ID document), your residence permit (if you are a non-EU citizen) and proof of residence in Bordeaux. You will need a bank account in your name for many reasons, for example: Financial aid for housing and Health Insurance reimbursements are paid by automatic transfer to a bank account. Note that the Bordeaux Sciences Agro International Relations Office can help you; we usually plan a group appointment at the bank in order to help international students open their bank accounts. Obtaining a mobile phone in France is simple. You have two options: buy prepaid credit or obtain a one-or two-year contract. You will need to do a little research into which mobile company fits your needs the best, so feel free to shop around at mobile phone shops located throughout Bordeaux and ask questions! Prepaid credit is a great option for students who do not plan to use their mobile phones often and will be staying for only one semester or less. Typically, the credit will last for one month, and you can buy additional credits at tobacco shops and grocery stores. If you plan to stay in France for longer than six months, getting a mobile contract is the most economical option. In order to obtain a mobile contract you must first have a French bank account. Phone packages typically include the phone itself, unlimited text messages within France, and 1-2 hours of outgoing phone calls. Internet (3G or 4G) may also be included depending on the package you choose. Mobile phone plans range from €20 to €50 per month. French numbers are ten digits long and displayed in pairs of two digits. From a French phone: Dial the number starting with a zero, without the country code. Dial the number with the country code and remove the zero from the first pair of numbers.